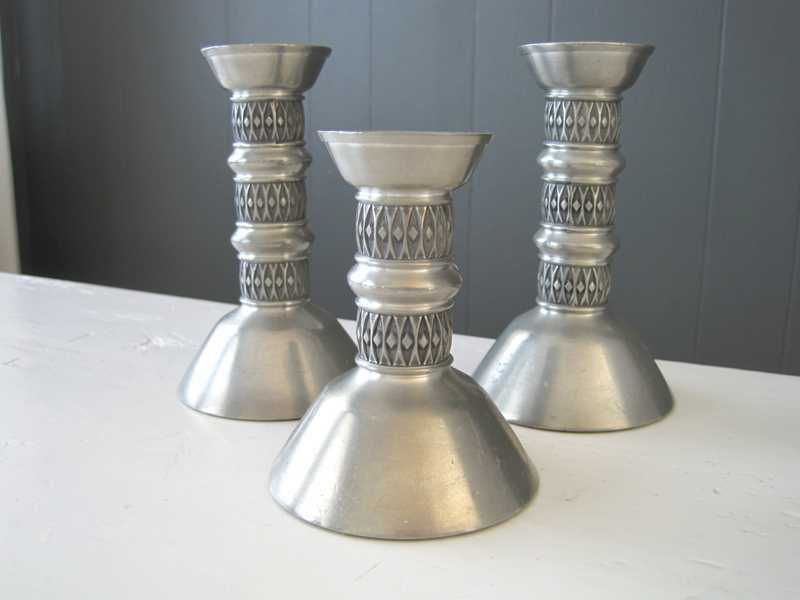 A trio of candleholders, design of John Gulbrandsrød for Måstad Pewter, Norway. 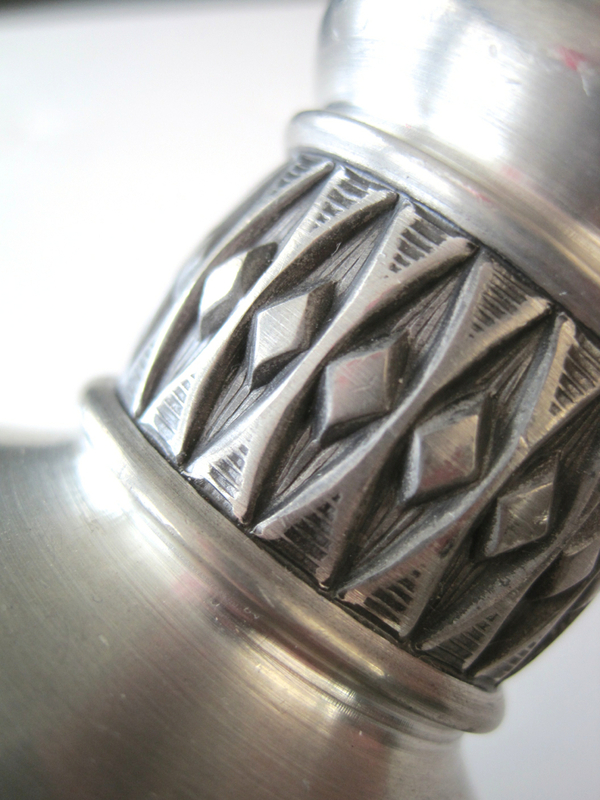 The beautiful details of the design of John Gulbrandsrød for Måstad Pewter, Norway. 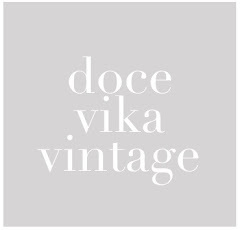 I love pewter, the dark soft grey metal that is more than ever out of fashion. 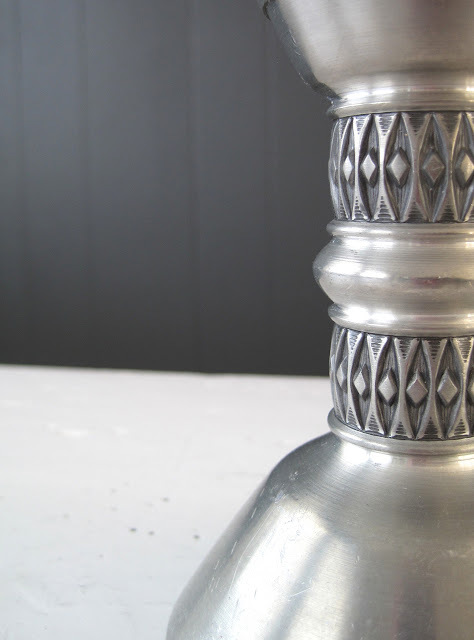 I simply adore the old fashion designs and I think the work of old pewter manufactures are pieces of art. Naturally, some of them are better than others, but something in that dark mix of metals makes them all very beautiful. This week I have uploaded some pewter candleholders to the store and I have more pewter in stock to upload. 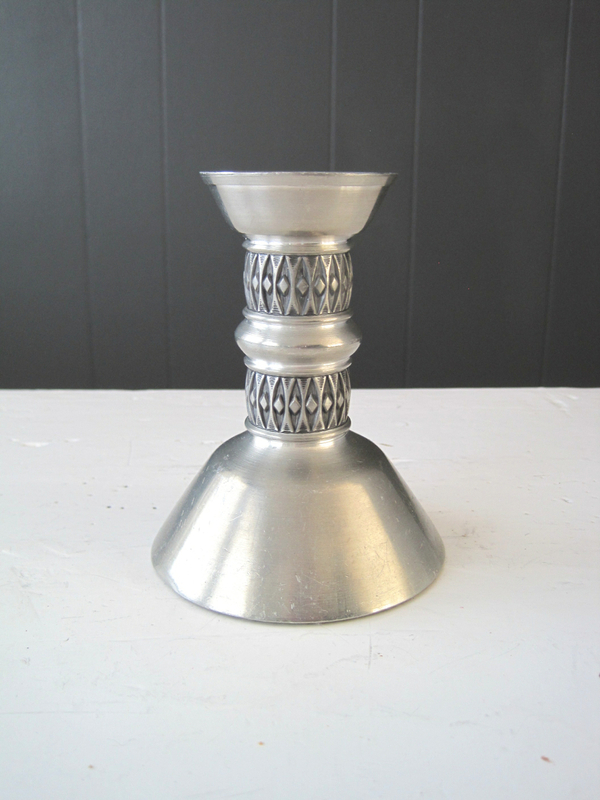 The trio of candleholders on the picture above are from Norwegian manufacturer Måstad designed by John Gulbrandsrød for Måstad Pewter, Norway.